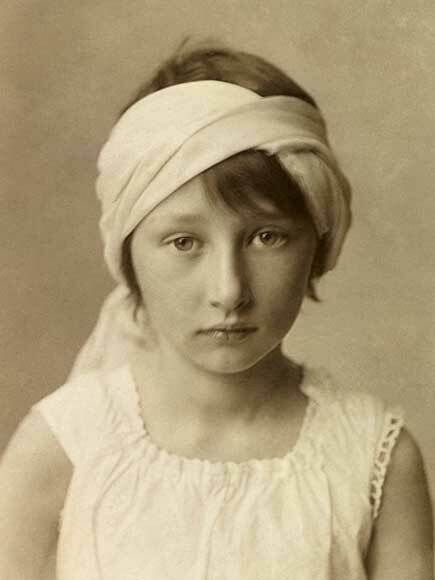 Crown Princess Märtha was born in Stockholm on 28 March 1901. Christened Märtha Sofia Lovisa Dagmar Thyra, she was the daughter of Prince Carl of Sweden and Princess Ingeborg of Denmark. 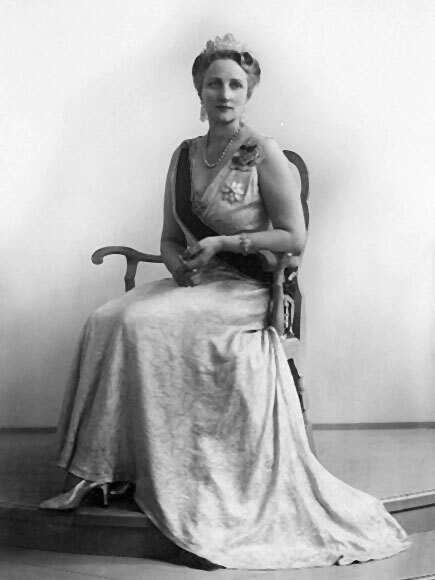 The Princess became engaged to her cousin, then Crown Prince Olav, during the 1928 Olympic Summer Games in Amsterdam. News of the engagement was very well received. It was taken as a sign that there was no longer any tension following the dissolution of the union between Norway and Sweden. An excellent match in terms of strengthening royal ties, it was also clearly a match based on love. Princess Märtha and Crown Prince Olav were wed in Vår Frelsers church (now Oslo Cathedral) on 21 March 1929. 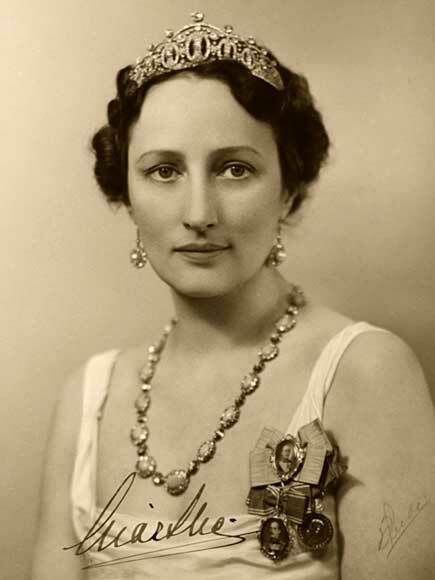 Upon her marriage Princess Märtha became the Crown Princess of Norway, which she remained until her death in 1954. Charming, open and hard-working, Crown Princess Märtha soon became a popular and respected member of the Royal Family. She undertook a range of official engagements, and she also gave many speeches, which was unusual for females in the Royal Family at the time. The Crown Prince and Crown Princess resided at the country estate of Skaugum, which was a wedding gift from Fritz Wedel Jarlsberg. When the main house at Skaugum was destroyed by fire in 1930, the Crown Princess was actively involved in the planning of the new building. The Crown Prince and Crown Princess had three children: Princess Ragnhild, born in 1930, Princess Astrid, born in 1932, and Prince Harald (the future King Harald V), born in 1937. The Prince was the first heir to the throne to be born in Norway in 567 years. 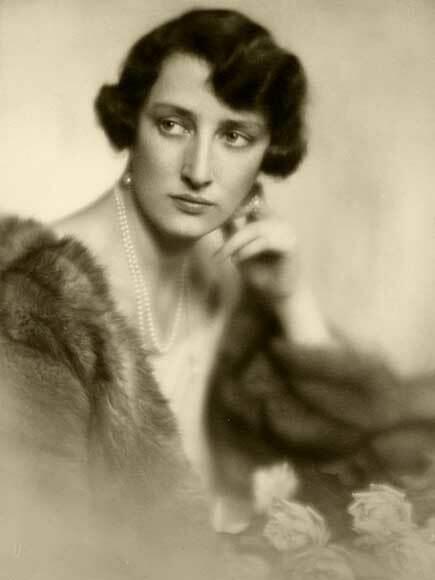 Crown Princess Märtha assumed the role of First Lady on Queen Mauds death in 1938. When German troops invaded Norway on 9 April 1940, the Royal Family, the Government and most members of the Storting managed to flee before the Germans reached Oslo. Crown Princess Märtha and her three children crossed the border into Sweden that same night. On 12 August they travelled to the USA at the invitation of President Franklin D. Roosevelt. The Crown Prince and Crown Princess had become close friends with the US president and his wife during a comprehensive tour of the USA in summer 1939. Their friendship opened doors for the Crown Princess, who worked assiduously to promote Norwegian interests. She was involved in a wide range of activities, from paying official visits and giving lectures and speeches, to sending relief aid and participating in relief operations for refugees. The Crown Princess was given a warm welcome when she returned to Norway with the children and King Haakon on 7 June 1945. Her ceaseless efforts during the war had made her even more popular with the Norwegian people. As King Haakons health declined, the Crown Prince and Crown Princess assumed a growing number of official engagements. The Crown Princess became involved in many official tasks, and even held the annual New Years Eve speeches in 1946 and 1950. Unfortunately, Crown Princess Märtha also suffered from poor health. 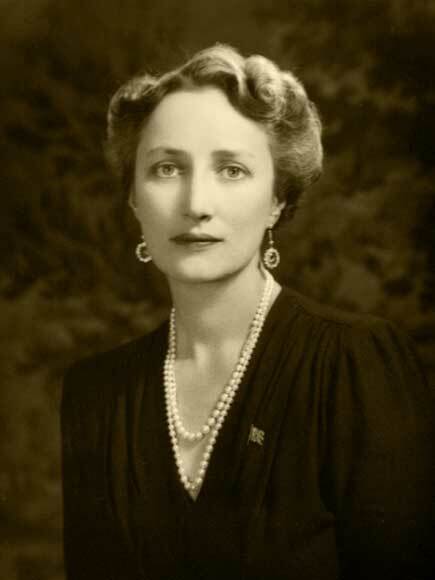 Her death on 5 April 1954 was a tremendous loss for Crown Prince Olav and the children as well as for Norway. Crown Princess Märtha was buried in the Royal Mausoleum at Akershus Castle on 21 April 1954.